Brian Christopher Winfrey is a native of Nashville and graduate of Vanderbilt University Law School. As a Vandy law student, Brian was a Dean’s List student, student government leader, and Dean’s Scholarship Recipient. In law practice, Brian is highly and widely regarded as one of Tennessee’s top and most-respected employment litigation attorneys. Brian has achieved large and acclaimed results for his clients in employment litigation and civil rights cases since founding The Winfrey Firm. In the practice of Employment Law – Individuals, Brian was selected by his peers for inclusion in the 23rd Edition of The Best Lawyers in America – the oldest and most respected lawyer peer review guide to the legal profession. He is also named to SuperLawyers Mid-South “Rising Star” List – a designation given to no more than 2.5% of attorney’s in the state, and given a perfect 10.0 rating by Avvo for professional competency. He was also named one of the Top 40 under 40 by the National Black Lawyers. He is among the youngest lawyers in Tennessee and America to receive these professional recognitions. Brian is committed to leadership and service to the legal profession. Brian is the Secretary of the Tennessee Bar Association. He is the youngest attorney in the TBA’s Board of Governors. He is a voting member of the Executive Committee, and Secretary for the Tennessee Legal Community Foundation and Board of Trustees. For nearly a decade, Brian was an active member of the TBA Young Lawyers Division Board. He was a member of the 2012 TBA Leadership Law Class and Nashville’s Emerging Leaders. Additionally, Brian is on the Executive Councils for the Labor and Employment section of the TBA, the Tennessee Employment Lawyers Association, and Napier-Looby Bar Association. Brian has been active in the Harry Phillips Inn of Court, Legal Aid Society, Alpha Phi Alpha Fraternity, and several local non-profit organizations. In addition to his law practice, Brian has remained involved in local, state, and national politics for his entire adult life, including working with the Tennessee General Assembly and United States Congress. He was appointed by the Mayor of Nashville to serve on the Metro-Nashville Transportation Licensing Commission, where served as the Chair of the Commission. Brian’s employment litigation experience is extensive and extremely broad-based. 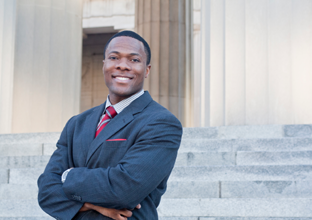 As a law student, Brian worked with the Equal Employment Opportunity Commission and National Labor Relations Board. After law school, Brian was an associate with one of the largest employment law firms in the United States (Ogletree Deakins), where he represented management in employment disputes. Additionally, Brian served as a federal trial attorney for the United States Department of Labor, Office of the Solicitor prior to founding The Winfrey Firm. Brian is a frequent speaker and lecturer on the subject of labor and employment. Brian Winfrey, Esq. has the experience and commitment to aggressively advocate for the best interest of each client of The Winfrey Firm.